A meeting at your house will ascertain your requirements and enable an inspection and assessment of your garden to be made. Following this visit an estimate for design work will be sent to you. 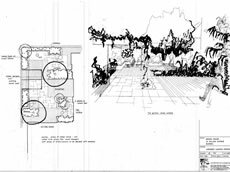 A detailed scale drawing of your garden must be produced before the design process can proceed. This will show the house outline, boundaries, significant trees, shrubs and features, and where appropriate levels. 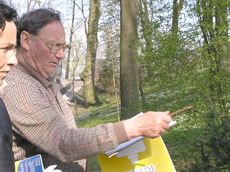 This survey will normally be done by a qualified surveyor, or for small gardens by John Brookes Landscape Design. 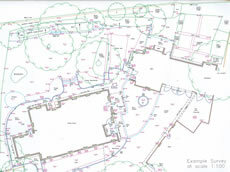 Once you have instructed us to proceed, we will conduct a design analysis on your garden and an outline garden plan will be produced for your approval. This will be a scale drawing in ink; sketches to help you visualise the design may accompany it. It will show hard and soft landscaping areas but will not specific details i.e. it will show planting beds but not individual plants. Modifications can be made to the proposed design provided they are based on your original brief. 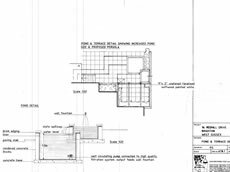 If necessary detailed working drawings can be produced. These may be required by a landscaper to enable elements of the hard landscaping to be constructed correctly. i.e. paving, water features or structures. 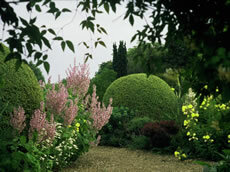 Detailed planting plans can be designed for each area of the garden. A Plant schedule will also be produced; this will list the botanical name, size and quantity of each plant and is used by a landscape contractor to order and cost the plants. 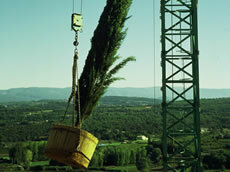 We are able to organise the construction of your garden and supervise its build. This would involve the production of detailed construction specifications and tender documentation, advice on contractor selection, monitoring of the contractor’s work, certification of payments, snagging and final certification of the work.